The awesome hot-spring bathing monkeys of Japan. These monkeys live in cold (snowy) climates and warm themselves up by going in to Onsen (hot spring) water. The Japanese macaque (snow monkey), is a native monkey to Japan. 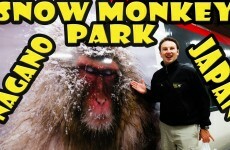 These monkeys are really cool, and Japan has a couple of “Monkey Parks” where the public can see the Snow Monkeys up close. 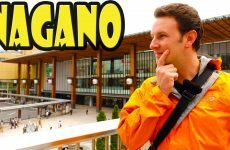 The monkey in this video are residents of the Jigokudani Monkey Park in Nagano Japan.